We are Janine and Marcie Thiele, mother and daughter, and we live with our Border Collies Heather, William and Katie in our house in Bochum, Germany. They are a important part of our life and the founder of our breeding! Often you can found us on the area of our dog club. We are mainly active in agility and all our dogs get the BH-exam after the basic education. Heather and William started both at competitions in class 3. Our little Katie is our future hope! 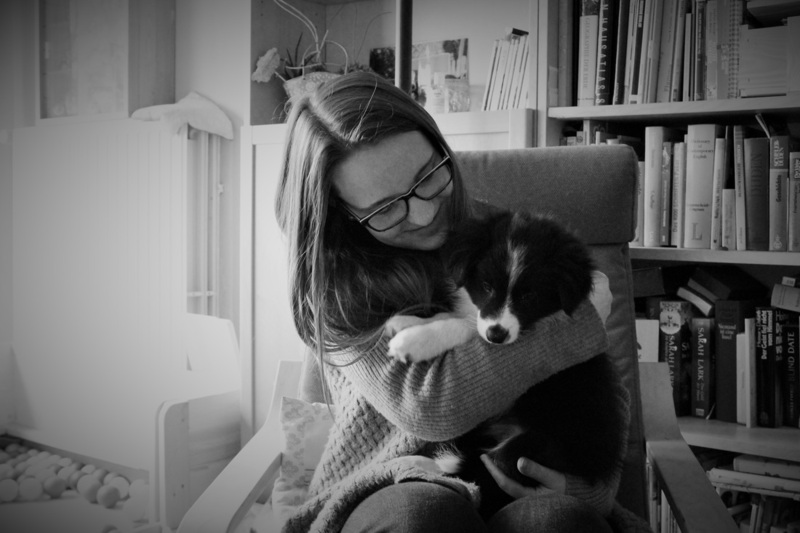 Since 7 years Border Collies have been living with us- and a life without them is no longer imaginable. It all began with our Border Collie Heather, who came to us in December 2008. After we had lived with Heather for 2 years we decided to take a second Border Collie to us- and so William arrived in July 2011. William is Marcie's dream boy and they both are also competing in agility. Furthermore William is shown by Marcie and finished his German Champion title in 2013, after Junior Champion title, JBOB, many CAC's, CACIB and BOS and more. William also is a stud dog, thus our interesting in studying pedigrees, blood lines and genetic information grew. But breeding is not something like a "simple hobby" or what else. It's so much more. It' s a passion. It's a promise to do our best for the puppys and to give them the best precondition for their lifes. So we are thinking about it a very long time and finally took our breeder's exam in 2013. We are a small, familiar kennel with the ambition to breed healthy, friendly and athletic Border Collies, with beautiful correct structure, who are open and versatile. Our dogs live with us in the house and it is important for us to encourage every single dog according to it's character and abilities. We will only be breeding a small number of litters. The welfare of our dogs are always in the foreground!